Penny needs your help! Help Penny get past the butler, cleaner and bobbies to steal the most prized jewel in all of London and win amazing prizes! Eyecon’s Beat the Bobbies slot game is about the biggest heist that will ever go down in history. Join Penny on her mission to steal London’s most prized jewel. This is a 5 reel and 243 way to win slot game that comes with bonus rounds that offer up to 320 free spins and multipliers between 2x to 5x. 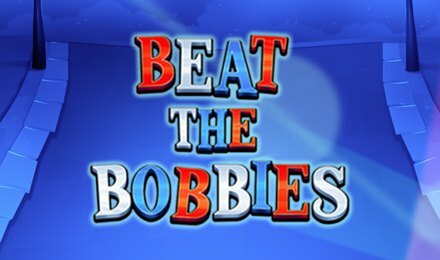 Play beat the bobbies at Wicked Jackpots now as from 25p to £50 per spin! Enjoy sharp graphics and cutting-edge features and sound effects that will enhance your game play!